A perfect cranberry sauce which I made for the turkey this year ( and Mr Frogcake loved it!) I added some subtle touches, which made it extraordinary: a small orange, and half an apple, sliced and fished out after simmering, one quarter tsp of each of cinnamon and allspice. It’s not very sweet and perfectly scented! This banana bread is flavorful and moist, a little on the sweet side (which is not a bad thing). I used butter instead of shortening. I had to increase the cooking time to 1h and 20 minutes even though I made a slightly smaller cake. Woud make again. So delicious! And the house was so fragrant while this was baking. Definitely a repeat. My first attempt at royal icing. Not bad. I'll try a different recipe next time just for the sake of trying it all. The complete illustrated cooking course. Techniques, ingredients, and tools of classic modern cuisine with more than 2,500 full-color photographs. Anne Willan's Look & Cook: Asian Cooking: The Ultimate Step-by-Step Guide to Mastering Today's Cooking--with Success Every Time! Anne Willan's Look & Cook: Splendid Soups: The Ultimate Step-by-Step Guide to Mastering Today's Cooking -- with Success Every Time! 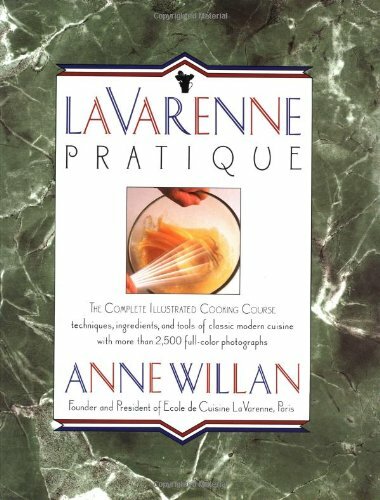 Anne Willan's Look & Cook: Splendid Soups : The Ultimate Step-by-Step Guide to Mastering Today's Cooking -- with Success Every Time!